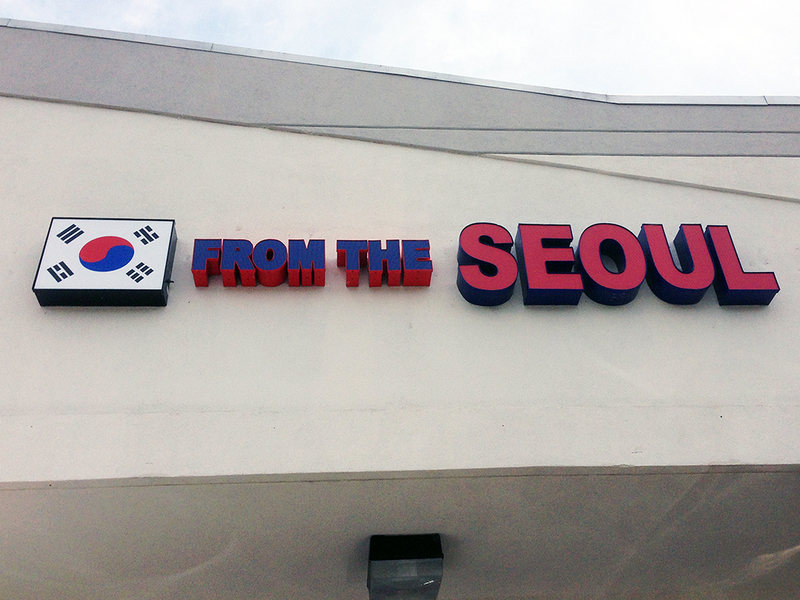 I stumbled upon From the Seoul while driving by it in North Dartmouth, MA. It caught my eye because aside from the fact that the name is a humorous play on words (Soul and Seoul) that incorporates the capital of South Korea into the name, Korean restaurants in Southern, MA are few and far between. When I first laid eyes on it, they weren’t open for business yet, so I eagerly anticipated getting to try the restaurant. When it finally opened, I stopped in a few weeks later to see if it was worth the wait. I’ve since been there twice and enjoyed myself each time. 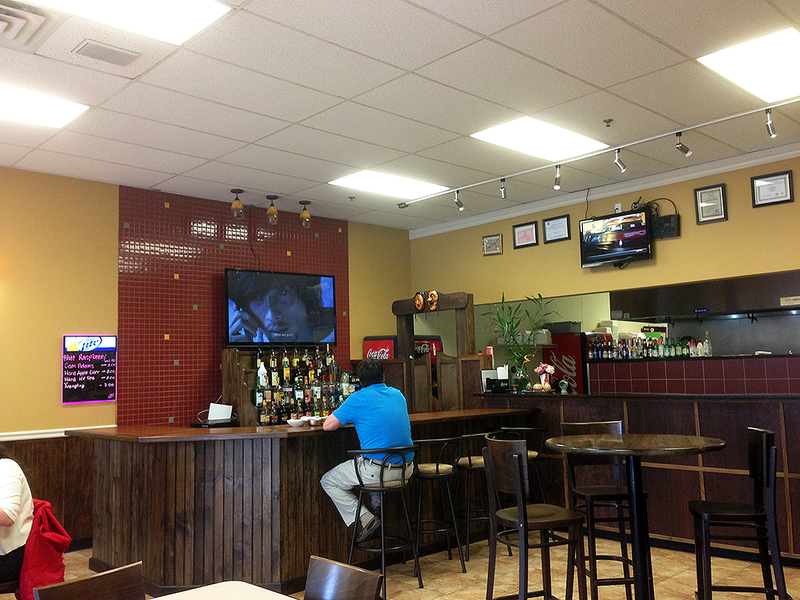 Considering that From the Seoul is a relatively newer restaurant in the North Dartmouth area, the interior is clean and modern, but not especially overdone. The seating is simple with some low budget chairs and the decor sparse with the TV over the bar playing pretty awesome Korean music videos as the main showpiece. The service is always polite and speedy, but I never felt rushed either. The standard by which I find myself judging Korean restaurants is perhaps cliche, but I always feel the need to try the Bibimbap to gauge the quality. That’s exactly what I did and as is usual with many Korean restaurants, meals come with a set of appetizer style small plates filled with pickled items and other treats. 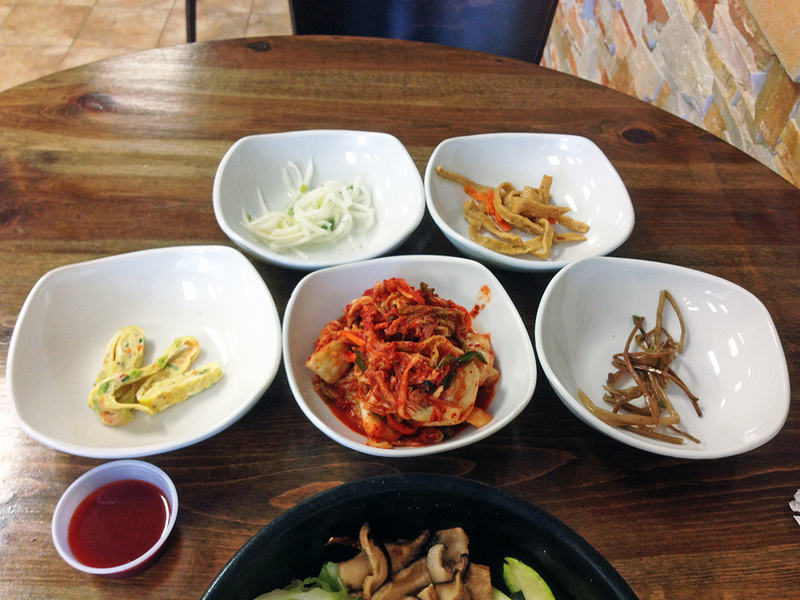 Miscellaneous Pickles, Kimchi, and Appetizers – The appetizer items that come with a meal are a lot of fun. They range from pickled to spicy to sweet. All of them are unique in flavor, but similar enough to tie them all together. You can pick at the items before your meal or eat them along with your dish to change up some of the flavors. Personally, I love kimchi (a fermented, spicy, pickled cabbage) and I will eat it plain or as part of my meal. I also really enjoy the pickled cucumbers, radishes, and other assorted items. The items do tend to change on occasion at From the Seoul, but I don’t really know whether they are made in-house or just purchased in bulk. 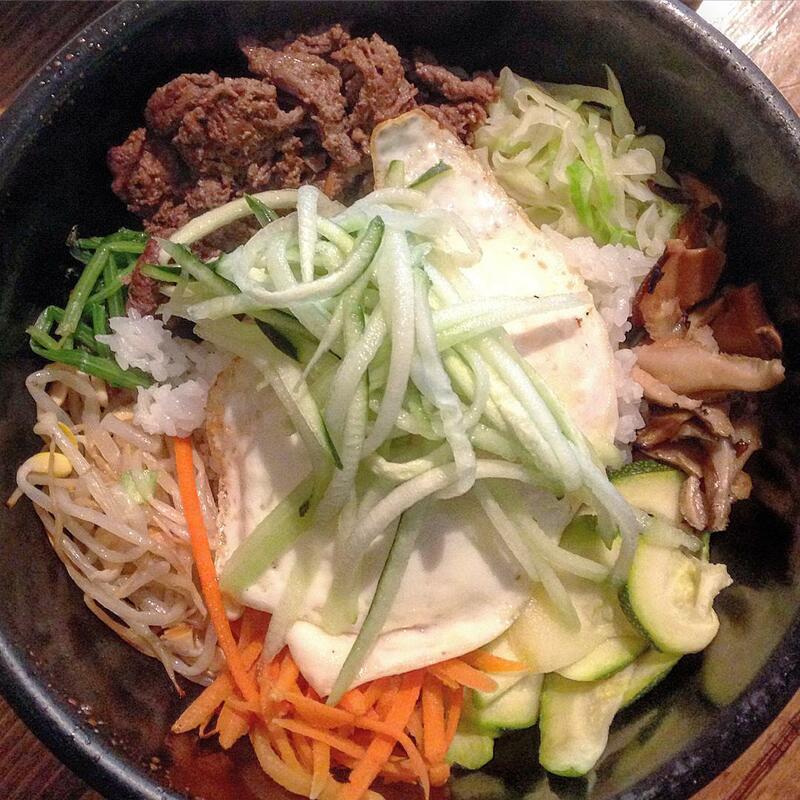 Bibimbap – The bibimbap at From the Seoul is a dish of rice, root vegetables (carrots, daikon), bean sprouts, cucumbers, herbs, egg, and meat served in a very hot pot. Traditionally, the pot is made of stone and so hot that you really can’t touch it with your hands or you’ll get burned. The purpose of the stone pot is to keep the food hot and to crisp up the ingredients inside. Personally, I let my bibimbap sit a bit before I stir all of the ingredients together so that the rice on the bottom gets crunchy and adds a great texture to the dish. 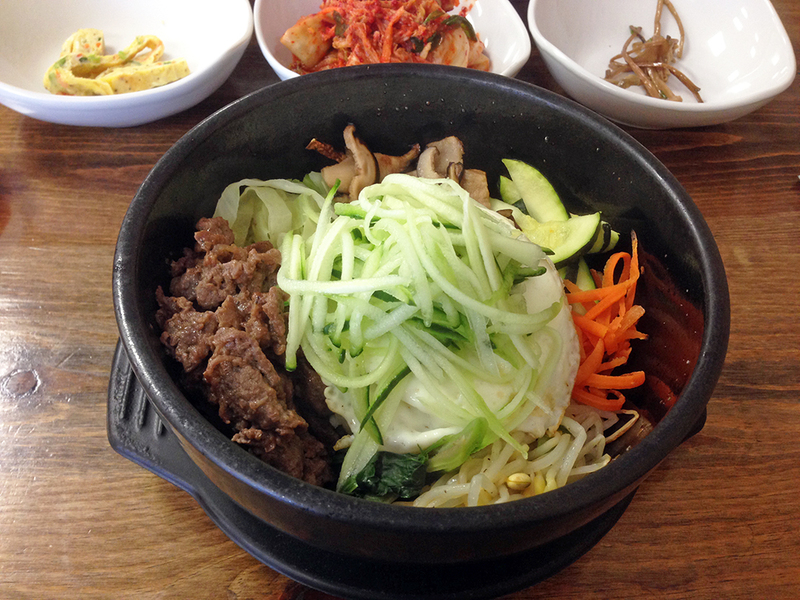 Unfortunately, the bibimbap here comes in a kind of non-stick pot that doesn’t really allow the rice to get crispy. Yes, the pot is extremely hot, but it doesn’t really get the job done. Some people may prefer it this way, but I like scraping off that crispy rice from the bottom of the bowl. Sometimes, the fried eggs is overcooked as well, which doesn’t allow for good mixing into the rest of the ingredients. Other than that, the bibimbap is well assembled, the meat is cooked well, and the flavors are all pretty spot on. I enjoy Korean food and even though it is sometimes hard to find, the cuisine is worth the search. From the Seoul isn’t the best Korean restaurant around, but it is pretty solid and for anyone in South-Eastern Massachusetts this is a great find. Unlike some other ethnic restaurants that are the only game in town, From the Seoul does seem to put in the effort to provide a quality meal. It seemed rather strange that the dish you described contains hot items such as rice, meat and eggs and on top there are salad items such as cucumbers and bean sprouts. How these go together beats me, but it sure is worth a try.